Well the first tasting/writing of the new year is a Bourbon, not a Scotch. Occasionally I like to try a bourbon. I don’t usually buy bourbon but when I do I buy Woodford Reserve, so I rely on the mini sized ones at the liqour store which limits my choices. Somehow I caught the attention of Four Roses’ marketing company in NYC and was offered a sample of the single barrel, so I took it! I have to say, receiving a 100ml sample is a hell of a lot nicer than the small stuff you get at the store. It’s really enough to have two separate tastings. I like this option because sometimes, you’re “just not feeling it” when trying a product for the first time and I like to have a solid opinion about something before I write about it. Not because I have some massive readership, which I don’t, but I think it’s the responsible thing to do. First Tasting – I decided to nose this against Markers Mark, a very popular bourbon, for some comparison. The nose on the two are very different! The MM has that distinctive traditional bourbon smell but with a lot of sweet, syrupy vanilla smell. 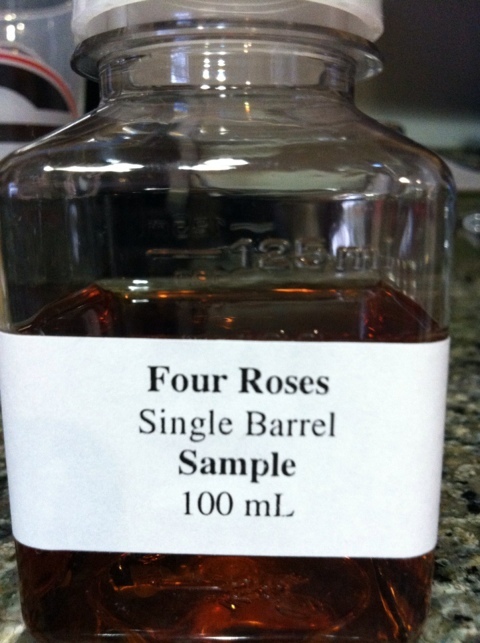 The Four Roses has a much deeper and complex nose. I like the nose better right off. I’m tasting this neat, no ice, water, etc….. Wow! Such a nice mouth feel and wonderful tangy spice. Not overly vanilla, more balanced and complex. I really like this! I don’t need to taste this twice to know I like this bourbon! On the second sip I get more of the traditional bourbon flavors, but they are still subdued and more complex. This would make a great sipping whisky. I don’t think I’d waste this on a mixed drink, its made to be enjoyed “as is” in my opinion. 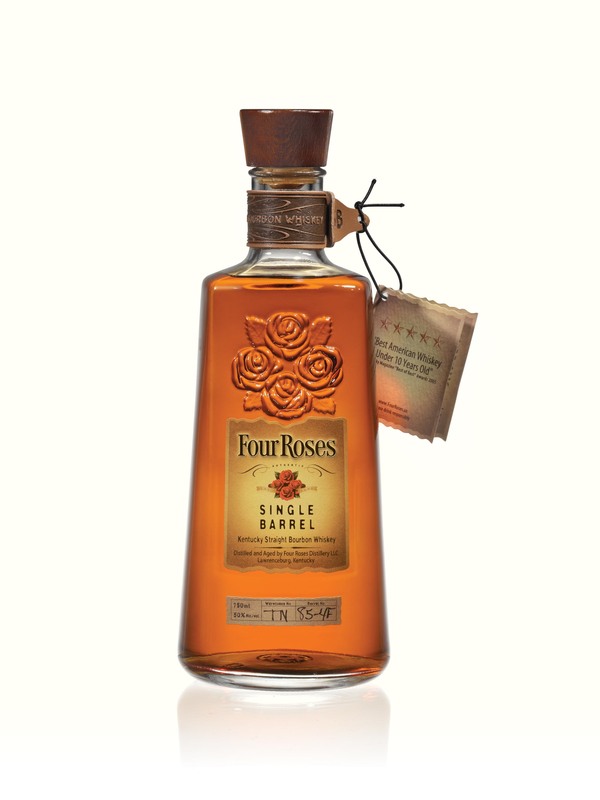 Well, there you go, I officially “like” Four Roses Single Barrel bourbon and think serious malt folks would enjoy this also! Such a nice way to kick off the new year! aromas including maple syrup and cocoa. Drink straight up or on the rocks.